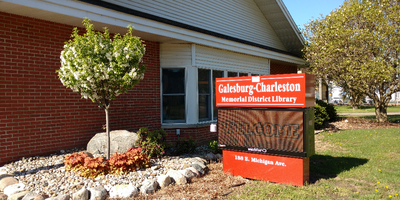 Dolly Parton's Imagination Library comes to Galesburg. The Galesburg-Charleston Memorial District Library and Friends of the Library, with help from the United Way of the Battle Creek and Kalamazoo Region, is bringing Dolly Parton's Imagination Library to local preschool children, beginning in November 2018. Every child enrolled in the community’s program will receive one brand new, age appropriate book per month from birth through their fifth birthday. "Our purpose is to improve early childhood literacy in our Galesburg community. By working with the Dollywood Foundation, Friends of the Library, and local United Way, our goal is to give one book per month to every child enrolled in the program, from birth to age five," said Helena Hayes, Library Director. The Imagination Library is a 60-volume home library for preschool children. It was created to stimulate children's imaginations and encourage reading within the family at an early age. A panel of child educators selects the books for the library each year, always beginning the series with a special copy of The Little Engine That Could. Registration forms are available at the library. Parents - or grandparents - of children living in the City of Galesburg or Charleston Township can complete a form and return it to the library. Children can also be registered online by visiting the Imagination Library website. The Dollywood Foundation is a 501c(3) non-profit foundation founded in 1988 by Dolly Parton. The mission of the foundation is to share the life and legacy of Dolly Parton as an inspiration for children to "Dream More...Learn More...Care More...and Be More." Anyone interested in receiving more information is encouraged to contact the Library at 269-665-7839.